Bump and Update: The Flores Twins have each been sentenced to 14 years. The Judge said had they not continued to deal drugs while cooperating, they would have gotten 12 years. Absent their cooperation, the government would argue life imprisonment is the appropriate sentence for these defendants. However, they are not being sentenced absent cooperation. How big were the Flores twins? On average, this cell received 1,500-2,000 kilos of cocaine per month. Approximately half of this cocaine was distributed to the Flores brothers’ Chicago-area customers; the other half was distributed to customers in additional cities, including Columbus, Cincinnati, Philadelphia, New York, Washington, D.C., Detroit, and Vancouver. in the Chicago Sun Times, give the impression the Flores twins were only in business for three years, from 2005 to 2008. That is certainly not the case. According to their statements to the grand jury (available here and here), they began their drug business in 1998, and continued until 2008. The Government doesn’t mention the first six years because it is outside the time period charged in the Chicago Indictment. The Twins got their cocaine from the Sinaloa and Beltran-Leyva cartels for years before 2005, but 2005 was the year the twins say they met and began dealing directly with Sinaloa co-leaders Ismael Zambada-Garcia and Joaquin “El Chapo” Guzman-Loera, rather than underlings. At least the Government finally admits that the Flores twins continued their illegal drug business after they began cooperating, and twice lied about it, before finally 'fessing up. The Government says the totality of the Twins' cooperation was so great, it’s not going to hold their lies against them. The Government effusively praises the twins for their cooperation which it says resulted in charges against 9 Sinaloa Federation members from Mexico, including Joaquin “El Chapo” Guzman-Loera. That Indictment is here. The Government's focus on “charges” rather than “convictions” is telling. El Chapo's son, Alfredo Guzman Salazar, is a fugitive. Ismael Zambada-Garcia, the “co-leader” of the Sinaloa federation, is a fugitive in his 60's who may never be caught. German Olivares and Heriberto Zazueta-Godoy are fugitives. Juan Guzman Rocha was a fugitive but died, so the charges against him were dismissed. Felipe Carbrera-Sarabia is a fugitive now in custody in Mexico where he has been battling extradition for 2 years. If any of these fugitives reach Chicago, by the time their cases are ready for trial, the Flores twins will have finished their sentences. It's highly unlikely they would be called as witnesses. Another newly added defendant to the case, Edgar Manuel Valencia Ortega, has not admitted guilt. On the Beltran-Leyva side, while the Government praises the twins' cooperation, the lead defendant is dead, another is contesting his guilt, and the third person is a fugitive. So their cooperation against those cartel members has not resulted in convictions. The Flores twins were never called to testify at any pre-trial hearing or trial. From the time they were whisked to the U.S. from Mexico in November, 2008, all of their cooperation was done while in custody, through telephone calls and visits with government agents or prosecutors. What did the twins accomplish other than the destruction of their own organization and convictions and jail sentences for their underlings and customers? The only Sinaloa cartel conviction of any note that resulted from their cooperation was that of Jesus Vicente Zambada-Niebla, son of Sinaloa co-leader Ismael Zambada-Garcia. The Government got an extra bonus when Jesus Vicente agreed to cooperate. He's getting a deal as favorable as the Flores twins. His sentencing guidelines also called for life in prison. The Government has requested a departure to a term of 10 years. If he gets more, he can withdraw his guilty plea. Jesus Vicente, like the Flores twins, will go into witness protection with his family when his sentence is finished. And he won't be deported back to Mexico. 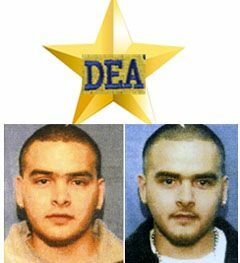 The second conviction — Alfredo Vasquez-Hernandez — shows what happens when you don't get a gold star from the DEA. He was sentenced to 22 years after pleading guilty without a cooperation agreement. He was recorded by the Flores twins doing a single 276 kilo deal. (Transcripts of the barely comprehensible recordings are here.) No drugs were ever seized in connection with this or any other transaction he was alleged by the Twins to have engaged in. The Government now admits the twins failed to tell the Government that the 276 kilograms arrived in Chicago, and worse, that they instructed their workers to pick them up, they sold the drugs and kept the proceeds hidden from the Government, in violation of their cooperation agreement. The twins claimed Vasquez-Hernandez told them about other large deals he had done with El Chapo, including multi-ton quantities. Vasquez-Herandez denied this. The twins also claimed they used Vasquez-Hernandez' train system to move their drugs from California to Chicago (again, no drugs were seized to support their claim.) They claimed Vasquez-Hernandez and his wife also moved large amounts of money for the Sinaloa cartel. The judge accepted their allegations and sentenced Vasquez-Herandez to 22 years. The third cartel conviction is Tomas Arevalo Renteria, who mostly sold heroin to the Flores twins. He has pleaded guilty and is awaiting sentencing. He did not have a cooperation agreement when he pleaded guilty. The Government acknowledges that for the most part, the Flores twins ratted down, rather than up. In other words, they turned on their workers, 16 of whom were charged in this Indictment with transporting and distributing their drugs and moving their money. The sentencing pleadings in the cases of the underlings show just how huge the Flores’ operation really was and how many millions of dollars they handled on a daily basis. They also show the value of a gold star from the DEA, and what happens when you turn one down. The Government requested extraordinary sentence reductions (66% reductions in some cases) for several of their workers who cooperated, including their most senior worker, Cesar Perez, who worked for them for 7 years, from 2001 to 2008 and was paid more than $1 million. He also supplied the Flores' customers with guns, at their direction. He got a 66% sentence reduction for his cooperation and was sentenced to 10 years. Jorge Llamas, a drug courier, distributed 9 tons of cocaine for the Flores twins during the several years he worked for them. He agreed to forfeit $800,000. He was sentenced to time served in pre-trial detention. At the other end of the spectrum, consider the 108 month sentence of the Flores twins' physically disabled, menial worker Francisco Espinoza, who did nothing but count money and did not cooperate. He was sentenced to 108 months, just 12 months less that what the Government is seeking from the Flores twins, and 12 months less than the sentenced imposed on their top worker Cesar Perez. To show you just how skewed the system becomes when the prosecutor is given so much discretion in sentencing decisions via cooperation agreements, here’s his story, according to his lawyer’s sentencing memorandum. Francisco Espinoza is 31 years old, an illegal alien with chronic kidney disease, facing both the prospect of life long dialysis and certain deportation to his home country…. He was 16 years old working in an ill regulated factory as a juvenile when his arm was caught in a machine and seriously mangled, crippling him for life and disabling him from doing much of the heavy farmhand work which employed most of the young men around his small hometown of Jalpa, Mexico. Unfortunately for him, while working in Jalpa for a construction firm which employed him as essentially a one armed worker who carried what he could on the jobsite, he met with the Flores people. The jobsite was the home of one of the Flores brothers, principals in this prosecution. Francisco’s father urged him to leave Mexico and immigrate to the United States where he could find better work. At the age of 21 he came to the United States and settled in Lincoln, Nebraska, where he had some relatives already living and who had become citizens of the United States or applied for citizenship. Mr. Espinoza worked in Lincoln for approximately three years. Since he had known the Flores brothers in Mexico, he had social contacts with some of their friends and relatives in Lincoln. He worked in Lincoln for three years without any incident, socializing with his extended family there and obeying the law. He had not applied for citizenship, however. In 2003 he was asked by an associate of the Flores family if he wanted to work in one of their restaurants in the Chicago area. The Flores person told him they needed him and could substantially increase his pay in Chicago. He responded that that he did not have the money to get to Chicago from Lincoln so they sent him a plane ticket. He was told that he would be counting money in Chicago. Espinoza still did not realize what kind of money and how much. When he first arrived, the Flores representatives told him that they had other plans for him. Shortly after arriving in Chicago, he learned that it was not restaurant money but drug money he would be counting and assured him he would never have to touch or possess any drugs. His pay would be $5,000 a month, a princely sum to this fellow from small town rural Mexico. From November 2003 to November 2007, Francisco counted the proceeds of the Flores operation. In 2007, he was stopped by police with a large amount of cash in his vehicle but was not arrested. Shortly after he was released by the police, he returned to Mexico, the Flores leaders believing he might have been “compromised.” He had not been. Francisco commenced working for a family business, a small cantina where he was paid $50 per week. There he worked until 2010 – 3 years with no trouble, when he was arrested by Mexican authorities at the request of the U.S for extradition. He was in jail for 16 months in Mexico, a horrid one, and he’s been in jail ever since. He got back to the U.S. He pleaded guilty. While working for the Flores DTO, ESPINOZA counted and packaged in excess of $100 million, making the amount of cocaine involved in the conspiracy with which ESPINOZA was personally involved and which was reasonably foreseeable to him in excess of 150 kilograms. Was Espinoza really someone worth chasing down in Mexico, three years after he left, and extraditing to Chicago, given his medical condition and return to a menial job in Mexico and crime-free life? Does he deserve a sentence only one year less than the Flores twins or their top worker, Cesar Perez, who worked for the Flores for 7 years and pocketed $1 million? Admittedly, Tom has had new charges filed against him during the pendency of this case. In 2011, he was convicted of a misdemeanor marijuana offense stemming from a November 2008 incident. In 2012, Tom was charged with possession of one ecstasy pill and a small amount of marijuana. Ultimately, both these cases stem from Tom’s struggle with drug and alcohol dependency. His anxiety relating to the instant case has only compounded his dependency, as has his hectic schedule, and recently, his separation from his wife and stepson. Tom recognizes he needs substance abuse treatment as well as mental health counseling. Tom's guidelines were 188 -235 months. The Government let him plead to reduced charges and also moved for a reduction for cooperation, and he was sentenced to probation. There are more examples of gold stars for Flores' workers (big and not so big) who trucked, stored, and sold their drugs. Here's what happened to three of their customers who didn't take the gold star. Ron Collins did not cooperate and went to trial. He was sentenced to 30 years. Here is the court opinion affirming his conviction and sentence. The Government alleged he received 2,000 kilos a month from the Flores twins.Franklin Brown, another customer who did not cooperate, was sentenced to 24 years. His conviction and sentence was affirmed in this court decision. They weren't the twins biggest customers. Kiley Murray from Atlanta was alleged to have purchased $1.8 billion of cocaine from the Flores twins. In his Indictment, the Government requested he forfeit $8.6 million. He was murdered outside his home while on bond, so the government didn't get much from his indictment. In addition to the charges filed against others, the Government justifies the extraordinary treatment of the Flores Twins by citing the danger to them and their families that will follow them for the rest of their lives even though the Government claims it will be able to protect them. Presumably, they’ll remain in the witness protection program, with new identities after their release from custody. The Government extended this courtesy not just to the twins, but to their wives, children, another brother and his wife and their children, their two sisters and their children, their parents and an ex-wife of one of the twins. (The father chose to return to Mexico and was promptly killed because of the twins’ cooperation.) What will it cost the U.S. for all these people to be in witness protection for life? How much will the Government recoup of the $1 billion they laundered during just the three years charged in the Illinois Indictment? A drop in the bucket. The Twins have to forfeit less than $5 million, according to the forfeiture pleadings. (Available here.) The Government has even agreed to let them keep $300,000 for personal expenses. The sad truth is that our system of giving huge rewards to those who cooperate with authorities and tell the truth (to the Government's satisfaction, and in the Government's sole discretion) is fraught with peril. Their testimony is purchased testimony — bought with promises of leniency. Freedom is a commodity far more precious than money. While they all swear to tell the truth, they know that if their truth doesn't match the Government's version of the truth, they get little or nothing. The incentive to lie is enormous. None of the people in these cases deserve medals. But a few deserve our sympathy, particularly, in my view, Alfredo Vazquez-Herandez and Francisco Espinoza. If there's a moral to this story, it seems to be this: Crime really does pay, provided you cooperate with the Government afterwards. You can even lie and violate your agreement a few times and get away with it.